safe, quality education for every girl. and policy changes needed to give all girls a secondary education. 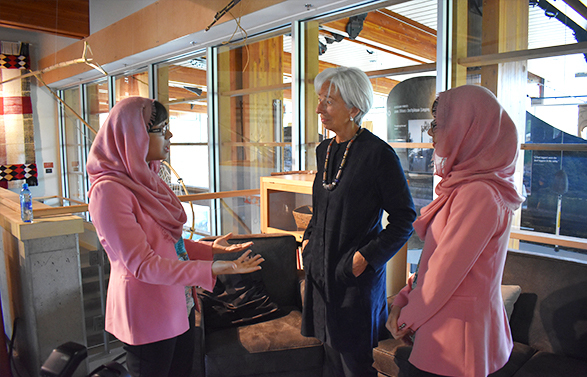 We meet with heads of state and high-level officials — people with the power to shift critical resources towards education — and ask them to increase their investment in girls’ futures. We believe girls should speak for themselves — that’s why we bring young education activists to high-level conferences to tell leaders what they need to learn and achieve their potential. We created Assembly, a digital publication and newsletter, as a platform for girls' voices. Our Gulmakai Champions spearhead campaigns to promote girls’ education in their communities, countries and regions. We are calling on developing countries to spend 20% of their budget on education and donor countries to commit 15% of their aid to education. We aim to grow the constituency of UN Member States that are actively advocating and investing in Education Cannot Wait, a global fund for delivering education in emergencies. Read the latest on our advocacy work. "I am here to ask you to make a practical and strategic investment in our shared future: educating girls." By age 17, Zaynab Abdi was a refugee of three countries. 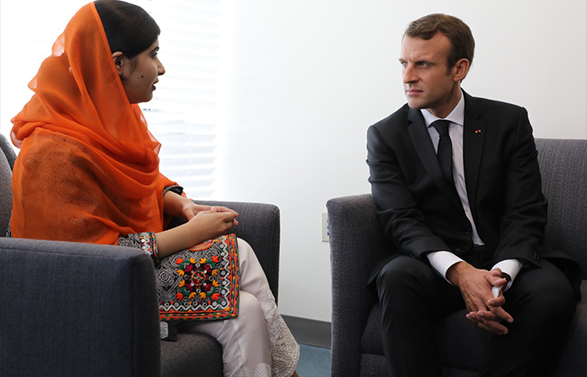 She shared her story during a UN meeting on education in conflict. A new law guarantees primary education for girls. 15-year-old Nigerian student asks leaders to invest in girls at the Global Partnership for Education (GPE) Financing Conference in Dakar. Our team conducts pivotal research on the impact of girls’ secondary education on our world to influence policy and funding decisions. If girls don’t receive quality education there will be a shortage of educated workers — leading to major gaps in the labour market and unstable economies. If every girl worldwide received 12 years of free, safe, quality education, lifetime earnings for women could increase by $15 trillion to $30 trillion. Girls' education is key to tackling global challenges. 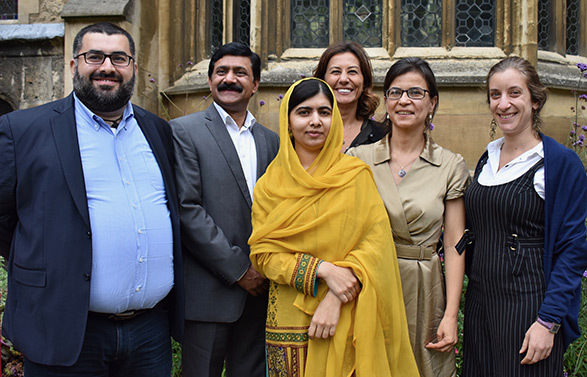 Malala Fund is calling on governments to develop a longer-term vision for refugee response. 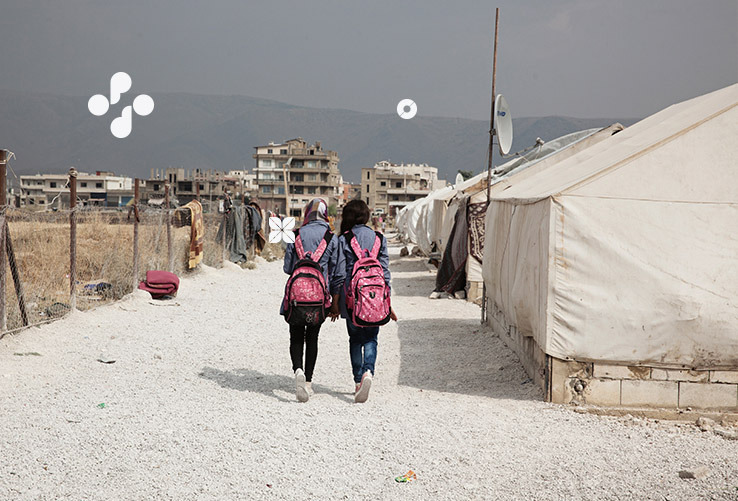 Improving access to education for displaced and refugee children from Syria is a high priority for Malala Fund. The poorest girls in the poorest countries often receive just three years of education. World leaders must invest the funds necessary to ensure all girls can achieve the goals they set for themselves. Sign up for updates on Malala Fund’s progress to see every girl in school.